The Office of Admissions (OA) works closely with COM OD&I and Office of Multicultural Affairs, and is responsible for medical student pipeline, recruitment and retention programs. admission the following year. Students are offered conditional acceptance to the COM upon satisfactory completion of the program (as defined by the Admissions Committee). There are about five students per year who enter our medical college through this program. Diversity categories target for program: Black/African American, Native American, Hispanic/Latino, Low socioeconomic status, Female; Students must be New York State residents to participate in this program. Funding Source: There is no specific annual budget. The process is built into overall recruitment allocation. AMSNY provides financial support for this program based on the number of participants. Description: MEDSET is a summer course aimed at preparing incoming first year medical students for transition to the rigors of the curriculum. Participating students are identified by the Admissions Committee and are introduced to academic content, support services, and study techniques. The director of student success initiatives, who also holds a faculty appointment, coordinates this summer course. The director works with faculty members who teach in the first year for content delivery. The course is supported by the COM. Description: As part of the Northeast Alliance (University of Albany, University of Buffalo, and University of Rochester), Upstate hosts a Native American PAW for Native American students from across the nation who are interested in applying to medical school. The 2-day PAW, with the Association of American Indian Physicians (AAIP), provides students with the information and skills necessary to be successful in the admissions processes for medical and health professions programs. Participants had the opportunity to network with peers, admissions officers, and financial aid officers; participate in mock interviews, and hone personal statements. The PAW started in 2018, and 20 Native American students attended the inaugural event held on October 18-20, 2018. Funding Source: Funding is provided through the overall recruitment allocation. Description: The MPH Medical Scholars program is similar to the Medical Scholars program, and is supported by Upstate. The program provides historically disadvantaged, underrepresented, or rural students the opportunity to strengthen and cultivate their academic, clinical, and analytical skills in preparation for medical school. Referred to the program by the Admissions Committee, students earn a master's degree in Public Health and are offered conditional acceptance to the COM upon satisfactory completion of the program (as defined by the Admissions Committee). Funding Source: There is no set budget for this program, and funding is provided through the overall recruitment allocation. Tips for academic success and mentoring. The associate dean for student affairs, campus life, and coordinator for cross cultural awareness and programming, host this week-long event. In addition to full-time participation for the entire week, several months go into the planning of the event. Description: SUNY Upstate Medical University's Medical Scholars Medical School Preparation Program offers the opportunity to earn a Master's Degree in Medical Technology in preparation for application to medical school. 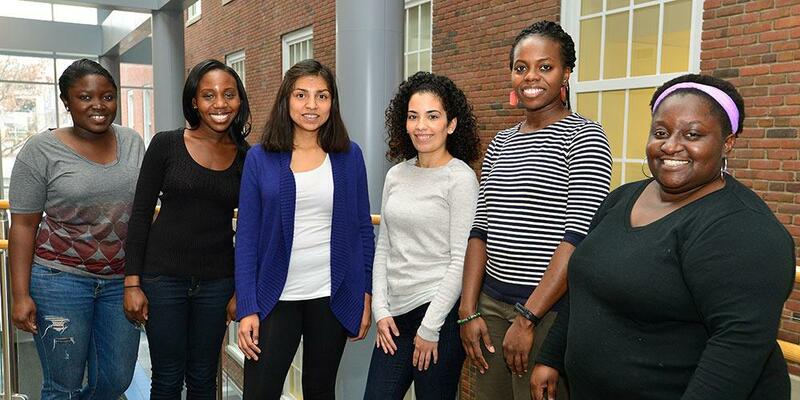 As a rigorous one-year program, the Med Scholars Med School Prep program gives students the opportunity to strengthen and cultivate their academic, clinical and analytical skills. Acceptance into this program guarantees an admissions interview at Upstate Medical University College of Medicine. Diversity categories target for program: Historically disadvantaged and underrepresented students in medicine are strongly encouraged to apply. Description: These programs are designed for students who wish to apply to both an undergraduate institution and medical school simultaneously. If accepted, students will be guaranteed acceptance into SUNY Upstate’s College of Medicine upon completion of their undergraduate degree and outlined admissions requirements. Description: Upstate Student to Student Advising Program (USSA) connects current Upstate students to undergraduate and high school students to advise them on their path to health careers, graduate or medical school, and potentially recruit them to the different programs at Upstate. Last Modified: April 09, 2019. Contact Chris Liberty with questions about the content of this page.